An Indie Game 2 Update Released! Today I’m excited to share the first of many IoT projects that I’ve been working on, primarily for fun and for challenges on Hackster.io. So without delay let me go into the first project, Relox! 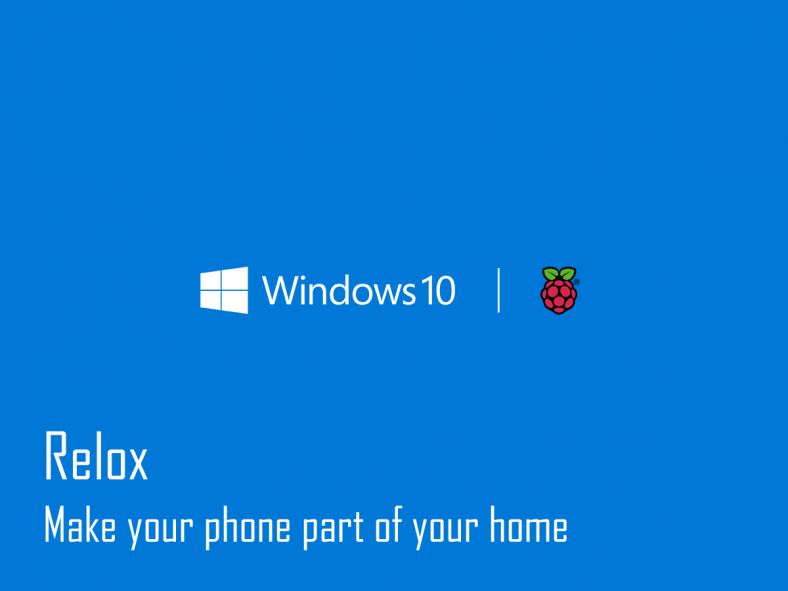 In this project I’ve built a Windows IoT Core app, a REST service, and an Android app. The Windows IoT Core app runs on the Raspberry Pi 2 Model B and communicates to a SQL db hosted by Azure, where our REST service is also hosted. Then the Android app is run on an Android device, preferably the phone you want to communicate with to pass messages over to the Raspberry Pi, and it will manage devices under your account. Above a diagram to show more or less how the project is structured. We run an Android app on a phone, this will push messages to our queue, like SMS or phone calls. The Raspberry Pi is listening for these updates on the queue through the Web Services hosted on Azure. This is high level of what’s going on. Once you have an account then you can go ahead and login into the app. When you are logged in, you should see a blank screen, this is because you’ve yet to add any devices yet (assuming you’re following along). This is alright, we’ll add the device later on, but more importantly to know, the Android app is in charge of pushing things like SMS and phone calls to the message queue for the Raspberry Pi to pick up later on. So that’s it for now with the Android app. Let’s move on to the IoT app. So once you’ve gotten the hang of some of the samples, let’s move on to the Relox IoT app. Deploy the app to your device and when it’s loaded you should see a login screen. Once you enter in a valid name (there is a 6 characters minimum in this project, feel free to change it in yours) you’ll end up on the main screen. Yay! If you see this screen then you’ve successfully setup a new device. So something cool has now happened. Let’s back to the Android app. So something else you may want to do is unregister your Raspberry Pi, maybe to swap it out or you just don’t want messages to go to it anymore. I tried to make unregistering simple, you can do this through two ways, either unregistering from the Raspberry Pi itself or, my favorite, unregistering from the Android app. And simply just hit the unregister device button and that’s it! Your Raspberry Pi will no longer receive messages and something cool happens, the Raspberry Pi will unregister itself on it’s end as well. Below is a quick run through of unregistering a device through the Android app. For more details and access to the code please feel free to checkout the project on Hackster.io – Relox.